For investors the present marketplace for gold and silver and other precious metals, has lost any real connection to the regular forces of supply and demand. The issuance of paper gold and silver has allowed a separation from market forces. It has divorced the true monetary values from the quantities of precious metals that are actually in existence. This has vastly inflated the supposed supply, thus putting a downward pressure on price. The reality is that there is far less physical gold and silver than the supply of the paper equivalence. This situation is allowed to exist because there are many players and speculators in the market that do not actually take possession of their holdings. What they have instead, is pieces of paper that gives an impression of ownership. As long as only a small and manageable number of participants in the futures markets for both gold and silver actually demand delivery of their investment, spot prices can move independently of the real fundamentals. Despite the efforts made by different banks, investment houses and various government entities, committed investors have continued to buy elevated supplies of gold, silver, platinum and palladium. This is achieved through the purchase of bars and coins which is far more difficult to manipulate, because these items are tangible. They are bought and then removed from the active market. The daily fluctuations in price for precious metals, seem to have minimum impact on these investors. In fact, lower prices have increased the impetus for even more long term purchases. The philosophy of these investors is that the present general market is unsustainable and in the long run gold and silver, will provide financial protection from future uncertainties. Public demand for physical bars and coins of gold and silver are soaring, since the middle of June. At the same time demand for paper gold and silver has leveled off and is actually falling during this period. 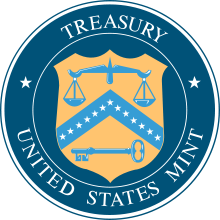 As a result, government and private mints are struggling to maintain sufficient supplies of precious metals, for the orders they receive. Some have even been forced to temporarily halt sales. 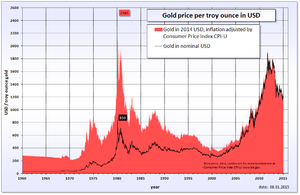 Interest in buying physical gold and especially silver, is at the highest level since the financial meltdown of 2008. 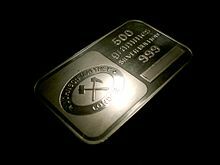 Premiums are already being given, above the spot price for both raw gold and silver, at a number of private mints. Some major national depots in the United States are running empty and more investors than ever, are seeking physical delivery of their investment from Comex (Commodity Exchange) warehouses, which are rapidly becoming depleted as well. Total demand for silver in 2014, outweighed supply by 22%. Total demand last year was 1.07 billion ounces while total mine production came to only 877.5 million ounces. The shortfall was made up with existing stocks. Obviously, this cannot continue indefinitely. In conjunction with industrial demand, supplies of the metal are getting far more scarce for investors. The solar industry alone, will absorb 8% of the total mine production this year. The interest in acquiring physical silver is not just confined to individual investors, central banks, and governments. J.P Morgan for example, as the largest bank in the United States, has accumulated a horde of some 55 million ounces of silver for clients and the bank itself. There are some that claim the total amount amassed is actually a far greater sum, maybe as high as 350 million ounces. For the first time, knowledge of the thin inventory of gold and silver held in exchange vaults that back the enormous volumes of paper being traded on a daily basis, is beginning to seep out. For those who are shorting these metals, they are counting on being able to settle accounts in cash or to make a withdrawal from a vault. If too many investors start wanting delivery of gold and silver, the whole present corrupt system will rapidly unravel. The situation is no different overseas. India is the largest official importer of gold and demand is soaring. The increase was 61% in the months of April and May alone. This amounts to a total of 155 tonnes. This compares to only 96 tonnes imported during this same period last year. During the 2014-2015 fiscal year, India imported 915.54 tonnes of gold. This is compared to 661.71 tonnes imported the previous year. India consumes more than one fifth of the world demand for gold. The sell off of gold on the Shanghai Gold Exchange in July drove gold prices down 4% in the spot market. This helped bring valuations to a five year low and to the present price level. China announced last month a 57% increase in gold holdings over 2009, bringing their total ownership to 1,658 metric tons. This was far less than what was expected and a number of analysts including this one, do not believe the official statistics presented by the Chinese government. However, it was another factor in the international drop in gold prices. The country is the largest producer and real buyer of gold in the world. China has a vested interest in understating their gold holdings. It will permit them to buy even larger quantities at much lower prices, as they exchange higher valued American dollars for lower priced precious metals like gold and silver. The present valuation of the United States Dollar (USD) is another cause in the lower prices for commodities like gold, silver, and crude oil. As a reserve currency, many trade goods including most world commodities, are often traded using USD. Chinese investors are now buying gold and silver again as the stock market there implodes. An investment in precious metals at this time is seen as a return to safety. As aforementioned, demand for physical gold and silver is increasing around the world. 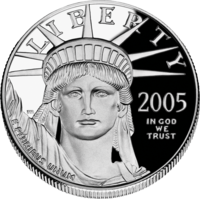 The United States Mint in July ran out of silver the same day the price of the metal dropped to the lowest level in 2015. 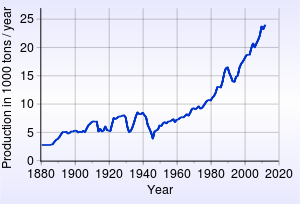 The same month the US Mint had sold 170,000 ounces of gold. This was the highest rate since April of 2013 and the fifth highest rate on record. Yet, it was occurring as gold was dipping to the lowest price in five years. 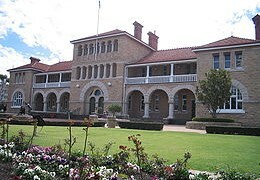 The Perth Mint in Australia is also struggling to keep up with demand, as interest surges with new customers in Asia, Europe and the United States. The problem for the mint is the amount of unrefined gold delivered, is not meeting the present physical demand. In Europe numerous dealers had their inventories emptied, as investors decided given the financial crisis in Greece, that owning gold and silver would be a hedge against any further instability. The UK (United Kingdom) Royal Mint for example, saw demand from Greek customers alone, double earlier this summer. In the United States the amount of Comex registered gold dropped to 359,519 ounces or just over 10 tons, by the beginning of this month. It has never been lower. Meanwhile, the paper gold demand for these remaining stocks, is at a whopping 43.5 million ounces. In other words that means for every ounce of real gold, there are 123.8 ounces of paper gold. This ratio is now at an all time high and should make investors in paper gold, extremely nervous. If the owners of this paper gold begin to want a conversion to physical gold, panic will ensue and the entire market in precious metals will collapse. The ratio between paper gold and physical gold is now at a record low of 0.08%. This situation has now become a Ponzi scheme, where the majority of investors will be wiped out, when the next crisis unfolds. It is no longer a matter of if, but when this happens.